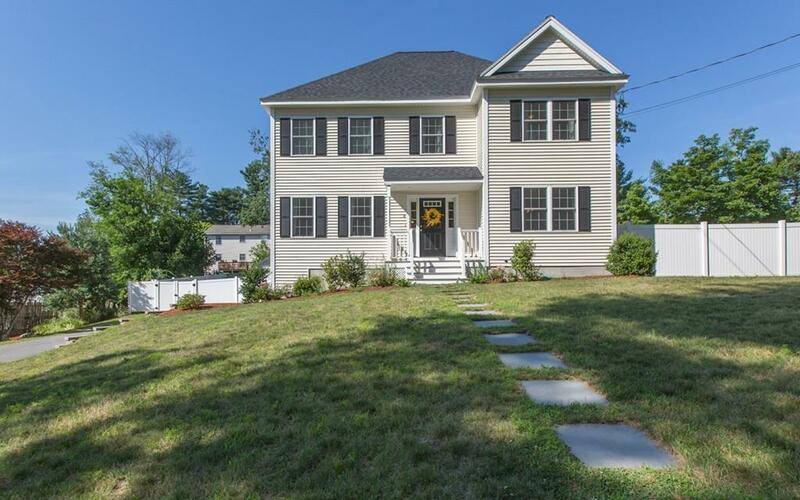 Meticulously maintained, young colonial is located on a quiet street in West Billerica offering an easy commute to route 3! This open-concept, Colonial style home sits on a nice lot with a fenced-in backyard featuring 4 bedrooms, 2.5 bathrooms, hardwood & tiled flooring, recessed lighting, a large open concept kitchen offerâs upgraded appliances, upgraded cabinets, quartz counters and plenty of storage space, opening to a spacious living room complete with gas fireplace, in addition to the eat-in kitchen youâll also find a large dining room with wainscoting and crown molding perfect for entertaining family & friends! The second story offers generous sized bedrooms, a master suite complete with a large walk-in closet & full bathroom! Along with a great location additional amenities include maintenance free siding & windows, spotless interior, central air conditioning, On Demand hot water system, 2-car garage, and much more! No need to look any further...Welcome home!